Our first stop will be in Athy for coffee and scones followed by a visit to Athy Heritage Centre and Museum which is located in the early 18th century town hall. Through historical artefacts, graphic panels, photographs, and multilingual exhibits, the centre explores the history of Athy. The centre is also home to the only permanent exhibition anywhere devoted to Ernest Shackleton, the polar explorer. We will stop for lunch at Reddy’s of Carlow where there will be choice of a carvery meal, snacks or soup and sandwiches available at your own expense. Then we will visit Huntington Castle and Gardens in Clonegal. This 17th century castle is the ancient seat of the Esmonde family. The family name has changed twice due to inheritance down the female line and the present family name is Durdin Robertson, who are direct descendants of the Esmondes. The castle’s basement is rather different from normal castles – it is a shrine to the Egyptian god Isis, celebrating the divine feminine. Intriguing! 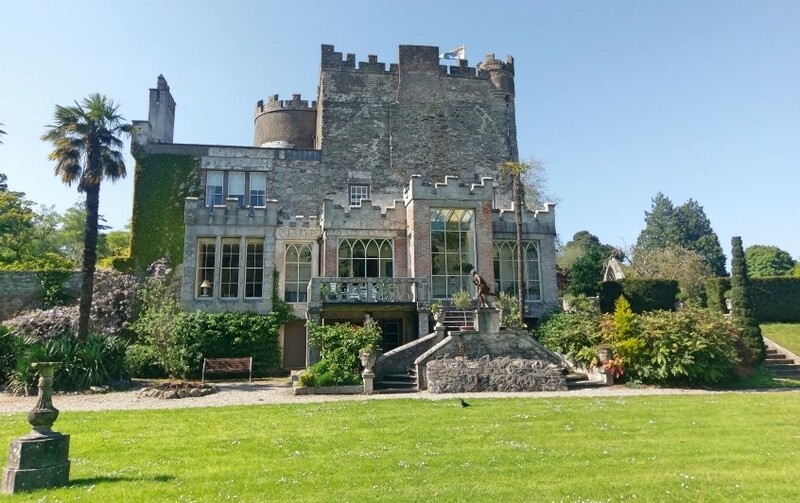 Finally, we will have a short visit to Altamont Gardens, ‘an enchanting blend of formal and informal gardens with riverside walks covering over 40 acres’. One of the most beautiful gardens in Ireland, it has many mature native trees in the avenues and woodland areas and a lake surrounded by rare trees and rhododendrons, leading to a very different garden featuring exotic shrubs and trees. The thirteenth edition of the Society’s annual journal, Obelisk, was launched in the Function Room, Glenalbyn Sports Club, Stillorgan on Thursday, 22 November to an audience of over 100. Margaret Smith paid a special thanks again to our many contributors for their very enthusiastic response with material and whose stories help to give us a fuller picture of daily life and the streetscape of times past. Click on image for the list of contents. Kilmacud Stillorgan Local History Society, .. 9 Marsham Court, Stillorgan, Co. Dublin. 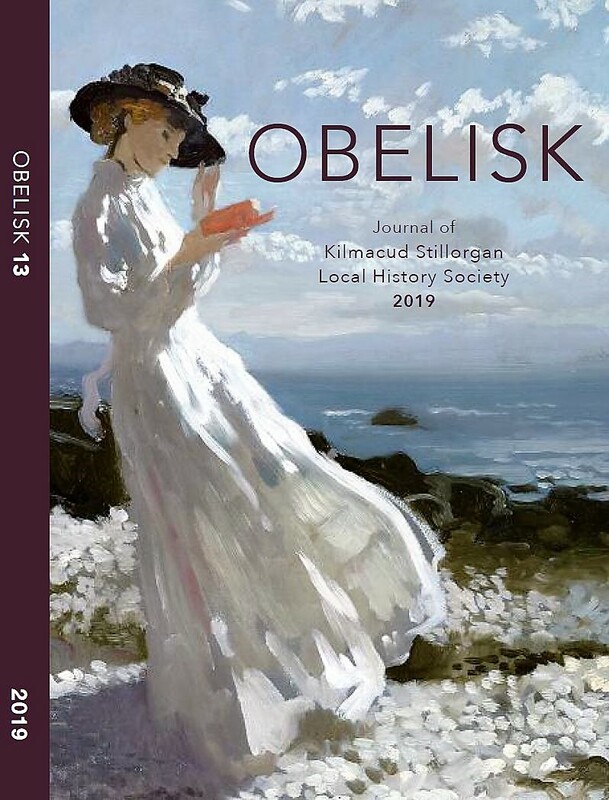 Obelisk 2019 is also available at the Stillorgan Credit Union, Lower Kilmacud Road, The Village Café, Glenalbyn House, Kilmacud Crokes, Stillorgan, Lakelands Store ("Clark’s"), 5 Lakelands Road, and SuperValu, Braemor Road, Churchtown. Purchase price €8. Copies of Obelisk No.12 2018 are available at €6 each (postage extra). Some copies of Obelisk No.11 2017, Obelisk No.10 2016, Obelisk No.8 2014, Obelisk No.7 2013 are available at €5 each (postage extra). Please contact our Society for details. Visitor contribution €3 on the night. Please note that due to current development work on Kilmacud Crokes main pitch, the entrance beside the shopping centre overflow car park is now closed. Vehicular access to Glenalbyn House is via the old swimming pool entrance on Glenalbyn Road and usual parking is available. However, pedestrian access from Allen Park Drive to the Club will, as far as possible, be maintained. Click here for more details. Click to see our programme of events. Save the day – details and costs to be announced.